Our Women’s Question Time events are organised in Bristol for all local and national elections. 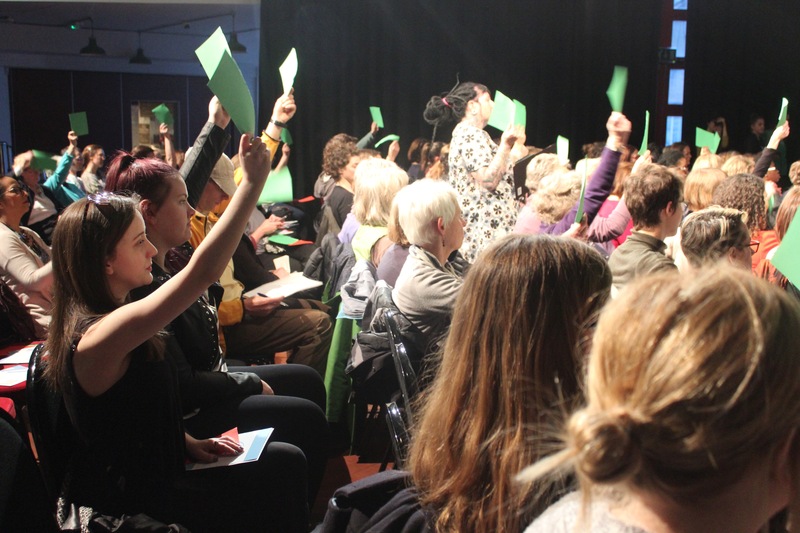 We invite women from across the city to put their questions to the politicians vying for their vote. These events are lively and good tempered, inspiring interesting debate and the sharing of multiple perspectives. All candidates are invited to attend and the events are held all around the city – not only in the centre. Following Bristol Women’s Voice’s previous 50:50 campaign (encouraging more women to run for council), the 2016 elections saw 30 women elected to Bristol City Council, taking women’s representation from 36% up to 43%. In 2018, the centenary of the first women in the UK achieving the vote, we are fighting to amplify women’s voices in politics, encouraging women to vote and stand for election, influencing the decisions of Bristol City Council and celebrating the achievements of women in our city. We also run conferences with schools from all over Bristol to enable young women to meet women from different careers and inspire them to enter male-dominated fields. Our Community Reporters are currently looking at some of the women in Bristol’s trade industry. Read more about The Women In Trade here.